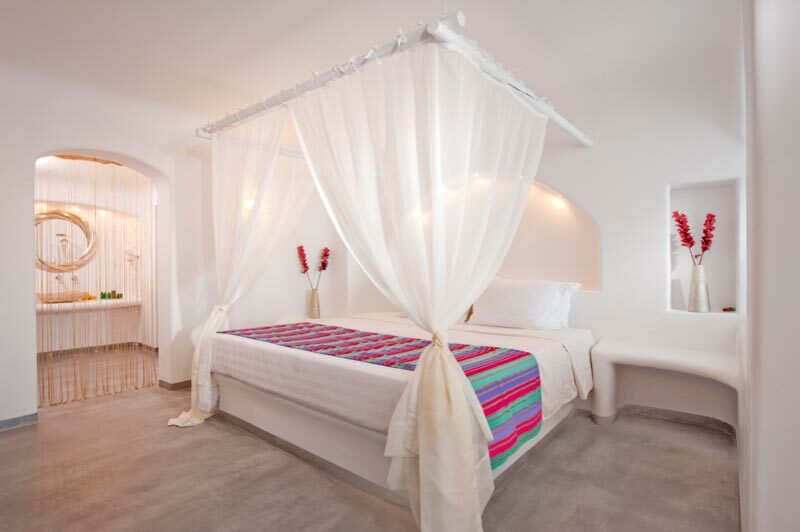 Absolute Bliss offers a spacious (45 m²) junior Santorini suite. 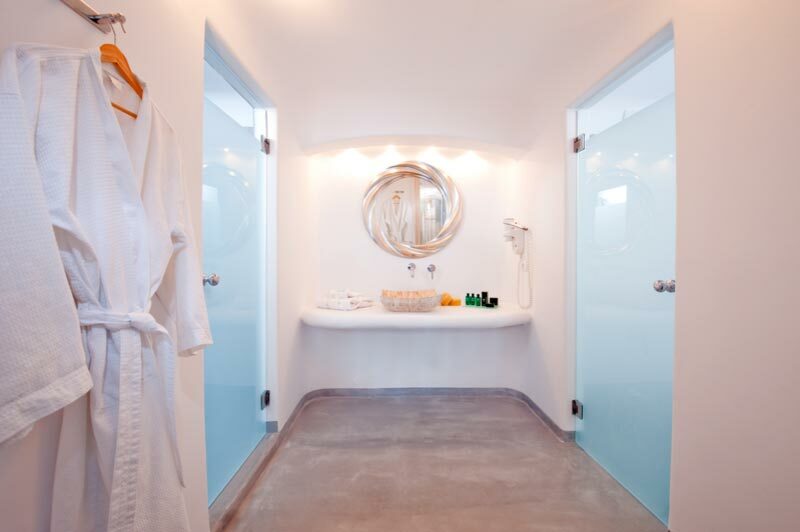 It consists of an open-plan living room with a seating area, and a bedroom with a king-size bed. 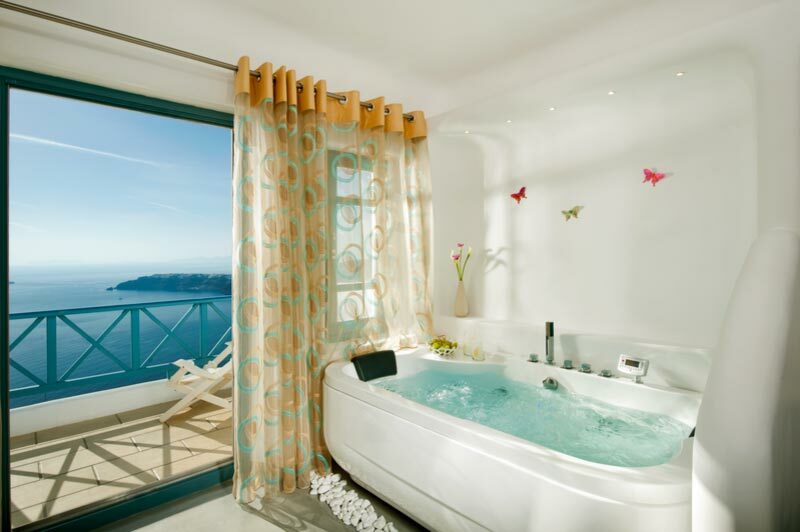 It includes an indoor spa bath tub for relaxing moments, with breath-taking views to the caldera and sunset. 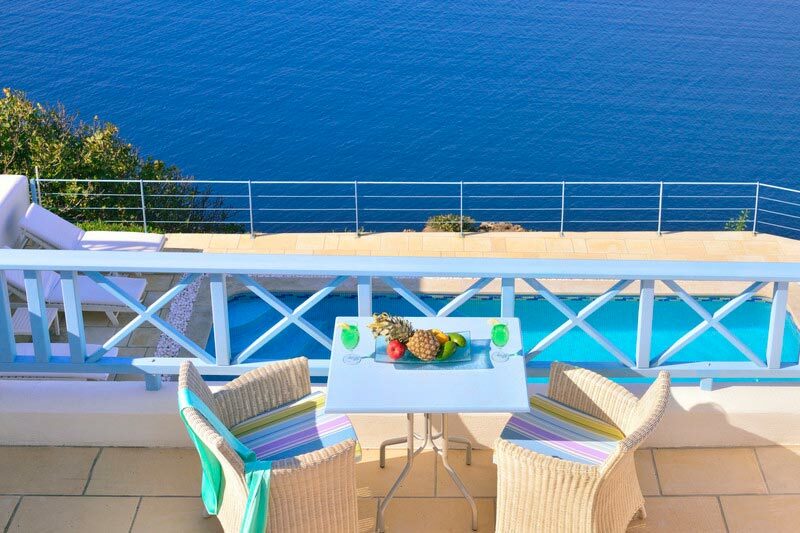 Enjoy your freshly-made breakfast or bottle of wine in your bedroom, living room or bath tub, while taking in the stunning landscape and glorious sunset. 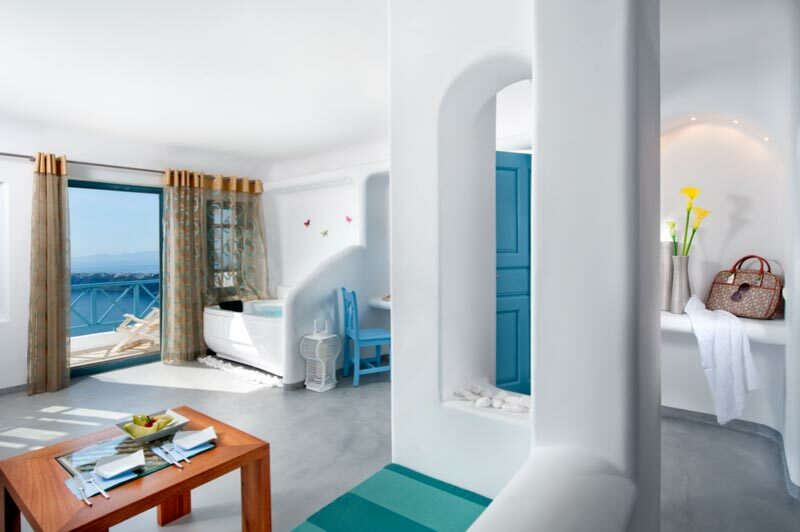 Select the Absolute Bliss junior suite, Santorini, for a perfect romantic vacation!